Sucessfull VoLTE Activation on Prepaid! Thread: Sucessfull VoLTE Activation on Prepaid! So I bought an iPhone XR not to long ago and had it on T-Mobile. I then switched to AT&T Prepaid when the $45 unlimited everything with autopay deal was going. The other day I went to a Corp AT&T Store and tried to get a Esim activated but they refused stating that its not allowed and the stores that are doing it don't realize people get cut off within 30 days due to the system finding out. I then asked to do a sim swap so they swapped my AT&T prepaid sim with a regular orange sim and I asked if there was a charge and the rep said there was not so I walked out with a completely free sim. Anyways after I walked out of the store and got to my house I did a test call to see if everything was working and that's when I noticed my iPhone XR was staying on LTE during the entire call. At first I thought it was a glitch but during some of the calls It did sound much clearer than usual and everytime I call now "LTE" stays on during the entire call. WiFi Calling is still not available. I suspect that maybe when the rep was on his iPad, his system asked to enable the feature or AT&T could just be testing on select accounts/iPhone's at this time. I did notice AT&T recently did some work in Portland, OR and LTE speeds are faster so it could be a trial run. *Note: VoLTE on AT&T works on all iPhone's 6 and up and also AT&T Branded Phones only. AT&T VoLTE is not available on Unlocked BYOD devices that are not AT&T VoLTE Approved. 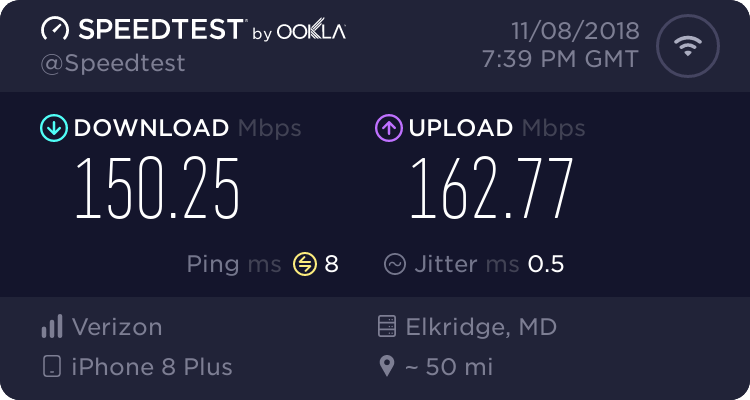 Home Entertainment: Xfinity Extreme Pro Internet with up to 400 Megs Per Second Download speed and Xfinity TV with 160+ Channels on a Xfinity Double Play. Mobile Entertainment: AT&T Prepaid as primary, Sprint Free One Year Promo as Secondary. CS a couple weeks ago indicated to me that it was being tested, and I thought indicated she would activate it on my account. Nothing changed, though, and this is the first confirmation that I've seen that she may just not have been saying anything to keep me from leaving. (I had called in to get my account number in preparation of leaving for VoLTE. I got the information, but decided to stay at least a month longer to see whether it happened). iPhone X is my current primary phone. I have older model iPhones and Moto phones available on other lines. Currently prepaid, though would consider postpaid on right plan. CS a couple weeks ago indicated to me that it was being tested, and I thought indicated she would activate it on my account. Nothing changed, though, and this is the first confirmation that I've seen that she may just not have been saying anything to keep me from leaving. VoLTE is tied to both the SIM card and provisioning. My guess is that since at this point eSIM support is primarily on iPhones (IIRC Google/Pixel 3 eSIM support isn't up yet in the US) then all current eSIM phones support VoLTE and will automatically be provisioned for it. Second part of that guess is that AT&T Prepaid VoLTE doesn't work solely because they won't provision it as a matter of policy/product differentiation, and not for technical reasons. The op used a regular sim. The sim I’m currently using came with my X a year ago when I bought it for att postpaid. It would be a hassle to go to the Corp store to switch. 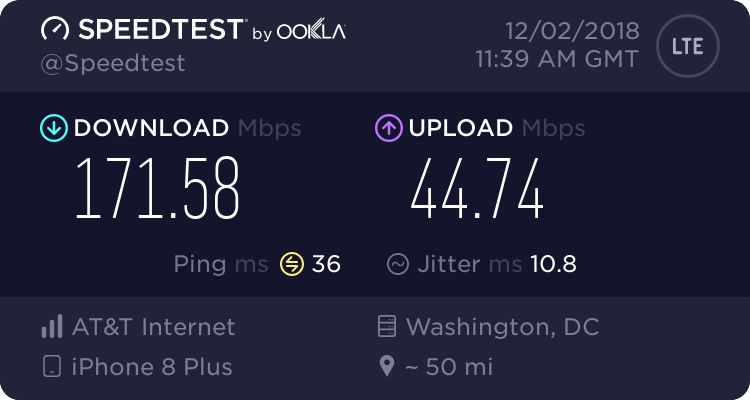 I just switched to AT&T Prepaid today. I was definitely getting VoLTE on the first call I made. Wi-fi calling setting shows up on the phone, but I get an error when I try to enable it. Tried it on my iPhone 6S, still drops to 4G, I then put the sim in my att S8, still no VoLTE Maybe it’s like cricket rollout where you need new sims to make it work? is this the same sim you received? I got this back in may when I bought my new iPhone 8 Plus and brought it to an att Corp store. HD voice would be nice. Don’t really need WiFi calling since I get 2-3 bars of LTE at home and most places I go. for VoLTE calling Provisioned wifi calling ect. Wi-Fi calling would have been nice for me when I was on vacation in the UK in September, since at least I could have had voice/text back at the hotel. But otherwise for me it isn't that important since I live in an area with good coverage. And I don't have any foreign trips planned. My hope is that ATT doesn't make this a procedure where everyone has to contact CS on their own when they find out is is available. So to update I did find proof that VoLTE is active as it does now show in my Talk, Text, Data usage logs as “Access Type” on my online account. How do you get to Usage Logs? I am new to AT&T Prepaid, and I cannot find it. That's a good sign! Hopefully we will all have VoLTE and WiFi calling soon! I see that. Which probably means no VoLTE. I suspect that on an account type that supports it, it would also indicate Wi-Fi if that is how you connected. And would probably indicate something else (3G?) if your account supports VoLTE, but LTE is either off or you aren't currently in a LTE area when on call.